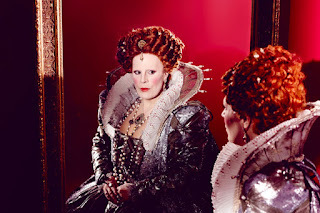 I attended Thursday night's premiere of Roberto Devereux at the Metropolitan Opera. The house was nearly full, and the air was electric with excitement. Not only is this new David McVicar production the first time the Donizetti/Cammarano masterpiece has ever been staged at the Met, but also we were to hear Sondra Radvanovsky sing her third Donizetti Tudor queen of the season. The evening didn't disappoint in any way. 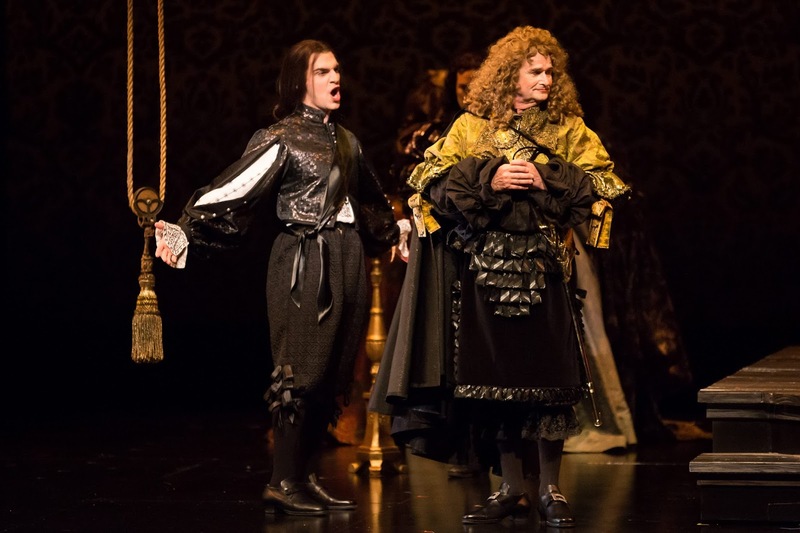 I wrote recently that the typical Donizetti soprano heroine requires range, power, agility, and expression. Quite true in the case of Elisabetta, and with Ms. Radvanovsky we had all those attributes in abundance. Beautiful, steely but warm sound, agility, range, and acting. I've really become a fan since she started singing the bel canto roles--the three Donizetti queens, Norma, and let's hope for more in the future--and she thrills me every time I see her live. 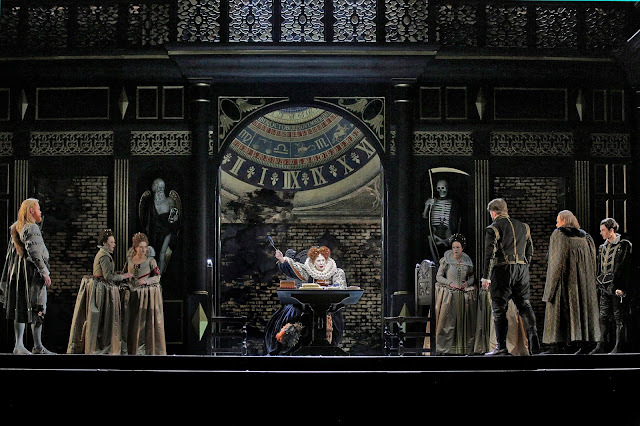 Her Act I aria "L'amor suo mi fe' beata" was magic, and her final "Quel sangue versato" nearly brought the house down. There was a moment after the cannon shot that announced Roberto's death when one could hear weeping throughout the audience and nothing else, so powerful was Ms. Radvanovsky's performance. Elina Garanča came very close to stealing the show as Sara, Duchess of Nottingham. Her powerful acting and her rock-solid yet tender singing delivered a vulnerable, heartbroken Sara. (We suspect Sara welcomes the death that is promised to her at the end, if for no other reason than being closer to Roberto.) Sara's Act I aria "All'afflitto è dolce il pianto" was heart-rending in its beauty, and her Act III duet with Nottingham was an amazing show of power, range, and passion. And her Nottingham? The very accomplished Mariusz Kwiecen, whom we have seen and quite liked as Don Giovanni. His own Act I cavatina "Forse in quel cor sensible... Qui ribelle ognum ti chiama" was beautiful in its sound and lyricism. As the husband who believes himself wronged, he was quite a powerful actor. He and Ms. Garanča had a fiery chemistry together on stage. 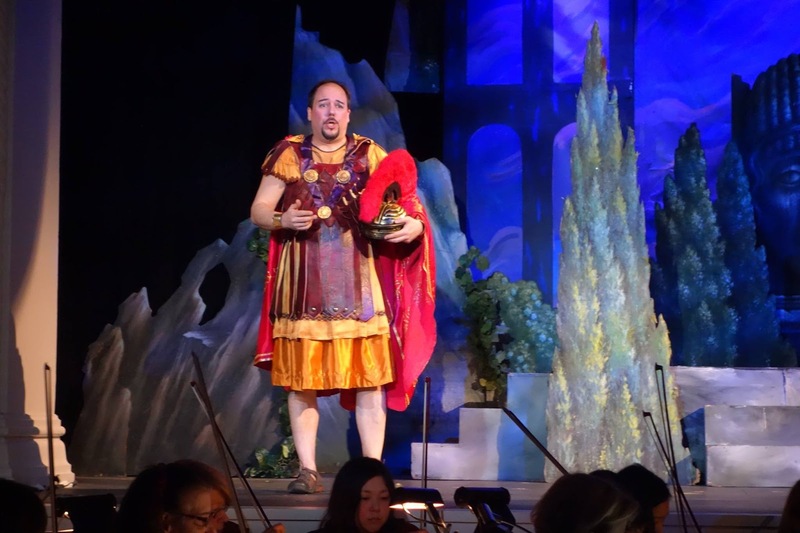 Matthew Polenzani is another singer who has grown since he started singing bel canto roles and grew into beefier roles. (One reads he recently sang Idomeneo at Covent Garden.) Although completely connected to the role and character, he did sound a little tired, I regret to report. This hampered his inherently pleasing sound, and was a handicap in his final scene. I've heard Mr. Polenzani sound tired one night and recover for a stunning performance on subsequent nights, so I hope I will be able to see at least one more performance to report on it. David McVicar's production gets a thumbs-up from me. Some features of the design drew attention to the fact there was no such thing as privacy as we know it in the Tudor period. The principals always seemed to be observed by courtiers and were rarely, if ever, alone. The remainder of the production team--Costume Designer Moritz Junge, Lighting Designer Paule Constable, Set Designer Mr. McVicar--all get high marks from me as well. 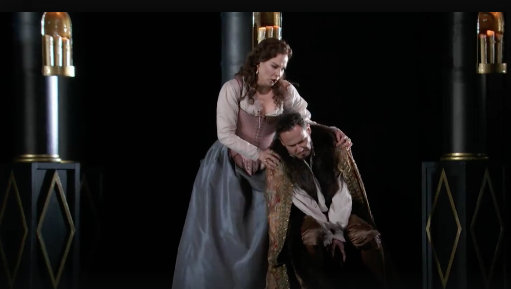 The Metropolitan Opera Orchestra under Maruizio Benini played at its usual level of excellence, and Maestro Benini drove the drama and the musical arc quite skillfully. The Metropolitan Opera Chorus seemed quite flawless, as usual. Highly recommended. I intend to see it again. *The title refers to a line in the libretto: Ah! Let no mortal say, The Queen of England, I have seen the Queen of England weep! On Sunday afternoon I saw the second Donizetti opera presented in repertory by Amore Opera, Poliuto. This is the first time since 1859 the opera has been staged in the US, apparently. Even in Europe, it appears it's only brought out and dusted off as a star vehicle. It's a typically convoluted story, including the expected love triangle--usually the protagonist has gone off to fight a war, conquer the New World, get some slightly salted butter at Sainsbury's*--whatever it takes to get him out of the way for a while--and while he's gone his main squeeze is told he's dead and is coerced into marrying someone else. The protagonist always comes back, and hijinks ensue. In Poliuto, add the element of Christian converts in the 3rd century Roman Empire, and it's magic! 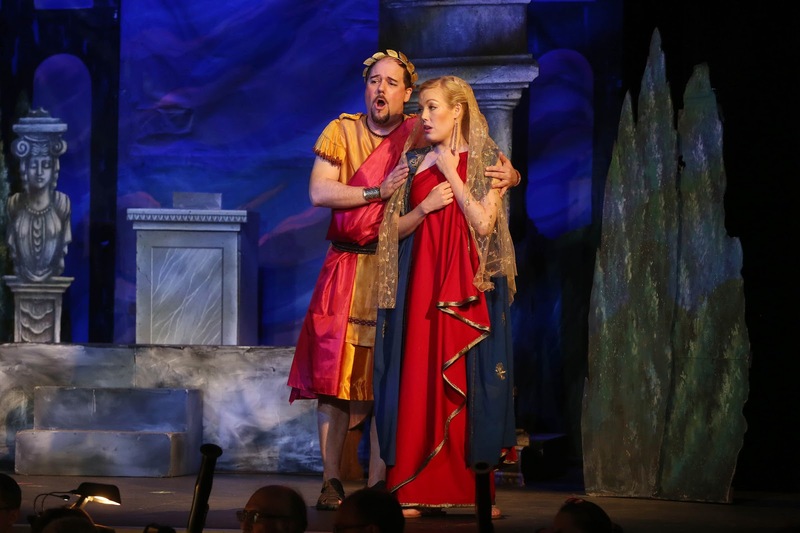 Consider the confusing fact that Poliuto, while a tenor, is the one the girl has been forced to marry, and the lover who's gone off slaying dragons is a baritone. Clearly some operatic conventions were not completely settled in the 1830s. 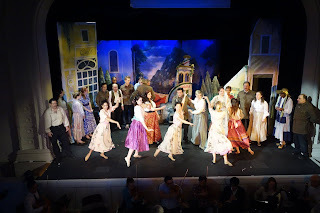 We need three great singers as the love triangle, and the cast I saw on Sunday were just what the critic ordered. In fact, it would not surprise me to see all three moving up to higher-profile (and higher paying) opera engagements very soon. 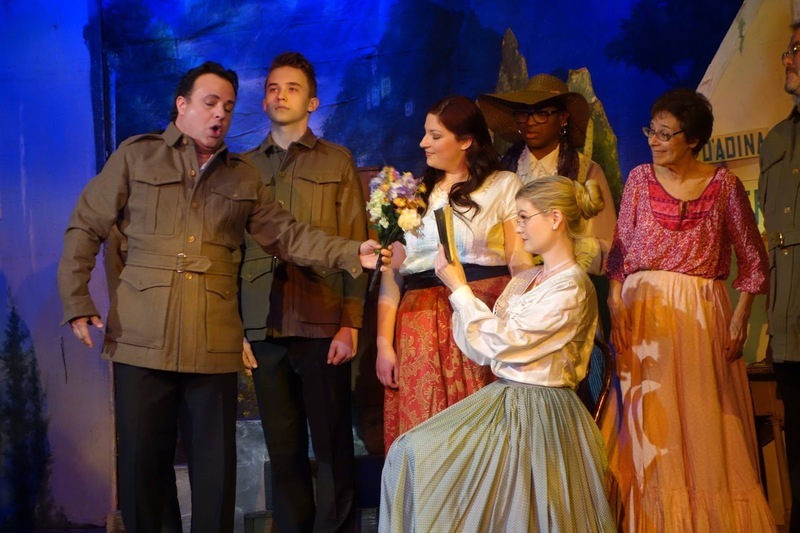 The typical Donizetti soprano heroine requires range, power, agility, and expression, and we were pleased with all of these in Jessica Sandidge's Paolina. As with her other two triangle-mates, she started in a good place vocally and improved as the performance continued and she warmed up even more. She has a genuinely beautiful sound throughout her voice and is also a beautiful young woman. Poliuto, the man Paolina had been forced to marry, was quite ably sung by the handsome Italian tenor Paolo Buffagni. 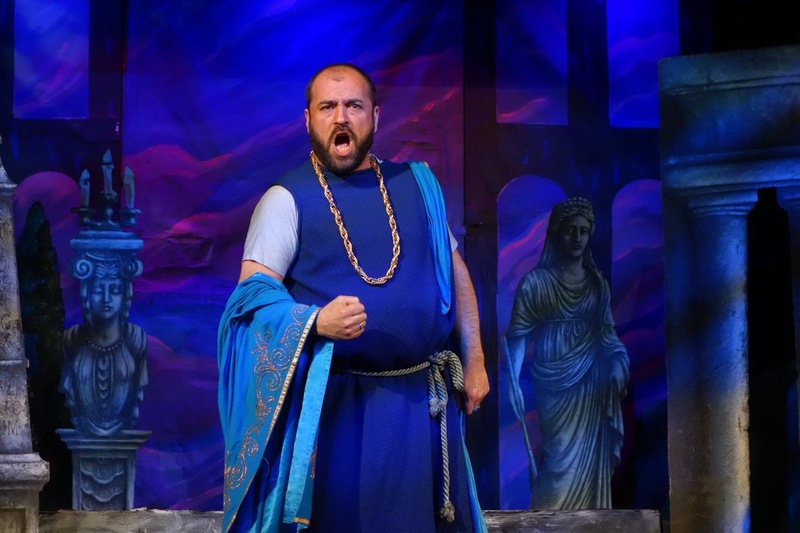 Powerful high notes and an assured, manly presence were what gave Mr. Buffagni the authority to carry an eponymous role like Poliuto. I do hope to see and hear more from him in the future, associated with bigger opera companies. For me the star of the afternoon was Robert Garner as Severo, Paolina's boyfriend who was reported to be dead. He has now come back as the Roman Proconsul. This is a baritone with rich sound, highly accomplished characterization, and good looks. His bio-blurb suggests a level of stability as a member of the Metropolitan Opera's extra chorus that singers pray for, but I do hope that won't preclude him from seeking bigger and better solo work. 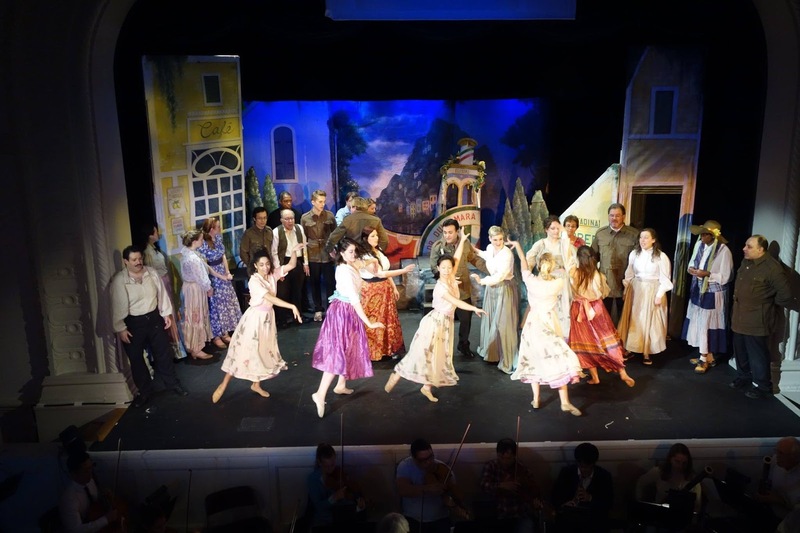 I enjoyed both operas in Amore Opera's Donizetti sort-of-festival, and don't wish to appear to say otherwise. I'm only sad that Sunday afternoon was the last performance. Ah well, there are other houses in town performing Donizetti this month, one hears. I wonder how those will go. *The first person who identifies this reference goes to the opera with me when I get a pair of comps to something local. Last week I had the opportunity to chat with a young singer about auditions. Based on our discussion that evening, but expanded greatly, I have a few tips specific to singers at the young professional level in the U.S. This is all my own opinion, based on my experience behind the table. There might be customs and requirements in other situations and locales that contradict what I say here. If there are specific instructions for any particular audition that contradict my recommendations, follow those instructions. Know for whom you're singing and why. I think it's a much better plan to present yourself as a total package than as a candidate for one specific role, even if the organization states it's hearing singers for one show only. (But if they do make such a statement, make sure you are appropriate for the opera they're casting!) You want to be considered for all appropriate roles in the next several seasons. Have all of your audition repertoire in top condition. New arias mustn't look and sound like you've just learned them, and old arias mustn't look and sound like you took them out of moth balls just yesterday for this audition. Plan and practice how you'd present them to a team behind a table five feet away or to a panel in a darkened auditorium. I'm a big fan of using hit-parade repertoire for auditions. You want to be remembered as the best "Voi che sapete" they heard that day, not as the aria no one knew. If you're not confident you can be the best "Voi che sapete"--or any other default aria from your fach--maybe it's time to rethink some things. There could be room for an aria from an opera that's not as well known. This is usually reserved for the obligatory aria in English, but if you have an aria from L'Amico Fritz or Edgar that suits you well, use it, and open with it. But make sure every other aria on your list is very well known. Your repertoire should be appropriate to the roles you can sing today. If you can't sing the entirety of Calaf today without doing yourself a mischief, don't include "Nessun dorma" in your audition rep. Sing it in concerts and at parties all you want, but recall that auditions and performances are two different animals. Presentation includes everything that affects what the auditioners think of you, from how you walk in to how you dress to how you answer their questions. Remember that questions should get a succinct answer--which should be well rehearsed, because most questions are predictable--but advice from the table should get "I'll talk about that with my teacher/coach/medium/priest/cleaning lady/etc." Remember their job is not to offer you feedback (unless they have stated otherwise), and you rarely gain anything by trying to explain or discuss anything they bring up. They're on a schedule. Just move on to the next aria or a graceful and confident exit. Some young singers have resumes that look cramped and difficult to read, and include things that aren't useful--older roles, non-opera gigs, irrelevant listings. Remove those and any roles you don't want to sing again, unless there is another reason to keep them (presenting organization, conductor or director, etc.) And remember that the opera world is small--you will be caught in a lie or an exaggeration. Please check your printer to make sure you're not printing your materials on re-purposed paper with other things printed on the back! There is more than one school of thought about audition wear. I think a singer should wear what makes him/her look good and feel confident and comfortable. Something flattering from all angles and distances. Women, wear pants suits if you like, but I don't think it's necessary to wear pants if you want to be considered for a pants role. Men, wear a tie if you like, but it's not necessary. Nice pants and a blazer are the best option if you skip the tie. (Try to avoid a suit without a tie--it just looks incomplete.) Men and women both, make sure your shoes are appropriate and in good condition. Women, wear makeup that a sane woman executive would wear. You're not Elektra yet. Invest in one or two nice outfits, but don't spend a week's salary on anything. The smallest things matter. Know exactly what you're going to say when you enter the room. If you have to pay a fee on site, have it ready. Have your audition binder ready. Include only those arias you want to sing today, and have your first selection first in your binder. (There are several different discussions to be had about choosing editions, how audition pianists want to see your book, etc., but that's for another article.) If you're presenting resumes and other materials, have those ready, too. Don't assume you are free from evaluating eyes and ears until you are well out of the building. The question of nerves often comes up--how to handle nerves during the audition. This is a very individual question, and I can only share what sometimes works for me: Act as if you've already got the job. 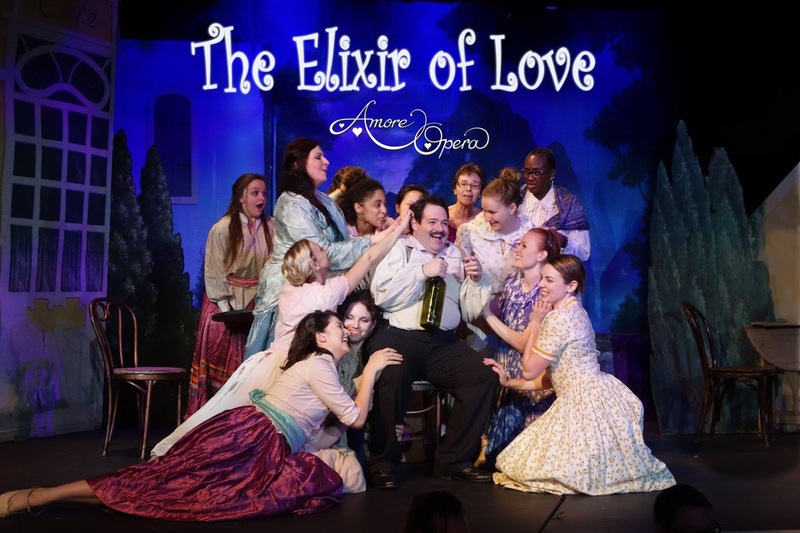 Earn an Oscar for the performance you give, from beginning to end, as a very confident opera singer who is sure he/she is the very best candidate. Much easier said than done, but it does become less difficult with time. No matter how you think you did, never let them see you sweat. Keep your composure whether you nailed everything or not. And then forget about it. Move on to the next audition or performance or life experience you are preparing, and don't worry about the audition you've just done. Not so easy, but when you learn to act that way you'll find the process easier. All of these ideas are the result of interaction with lots of opera singers and opera producers. On many of these points there are differing opinions. I present the viewpoints that make sense to me, and encourage singers to learn of other viewpoints as well. In the absence of specific instructions, make a well-reasoned choice and move forward confidently. 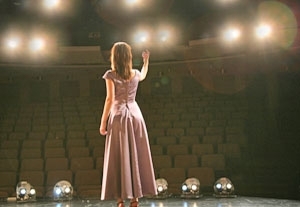 BONUS: Here's a link to something I published a few years ago after observing a musical theater audition master class.